Metal Crowns are made from metals such as gold, palladium, nickel, or chromium and they are extremely durable so much that they rarely ever crack or break. They are ideal for back molars that are out of sight because their metallic color makes them a little unappealing to the eye. 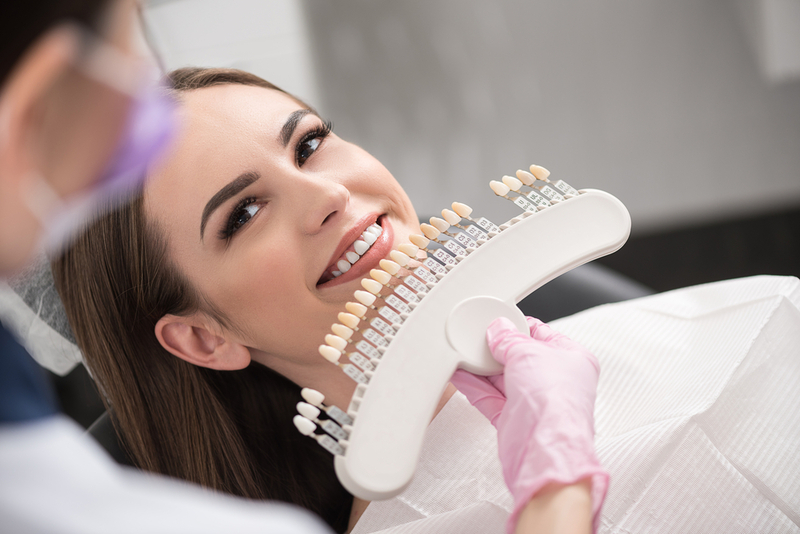 Porcelain-fused-to-metal Crowns are a good option for those who want a more natural appearance as these crowns can be color matched to a patient’s natural tooth. Unlike metal crowns, they are ideal for restoring both front or back teeth. All Resin Crowns are less expensive than metal or porcelain-fused-to-metal crowns but they lack durability and can wear down or break over time. All Ceramic or All Porcelain Crowns are similar to porcelain-fused-to-metal crowns in respect to their natural tooth matching abilities and are a great option for patients who are allergic to metal crowns. When Would a Dental Crown be Necessary? While dental crowns can last a lifetime with proper care they are still susceptible to damage. They can break, crack or become loose and even fall out so to ensure the longevity of your dental crowns you should practice good at-home oral care and keep up with your regular visits to the dentist. If your crown does fall out it is recommended that you seek an emergency 24 hr dentist in Lansdowne to reattach the crown before your natural tooth can become damaged. To schedule a teeth whitening with Dentist Aldan please call us at 484-791-2138. 2018-11-06T12:52:00-05:00	By Admin|Comments Off on What is a Dental Crown?